Extensions for Windows Wiki is coming soon! A Powerful Tool to Capture Screenshots AND Animations in Several Clicks. Do you need to take a snapshot of a window or menu on your screen to put in your PowerPoint presentation or document? Using the Print Screen key in Windows is a drag. It can take screenshots, but it never captures exactly what I want. Capturing screenshots can sometimes seem like a big hassle. The Screen Capture Extensions was able to fulfill my needs and much more! I can capture a whole or part of a screen easily without having to rely on another program to edit and crop it. A picture is not enough?...then use the built-in animation capture mode to express content in a video. Press a hot key or use the simple menu to capture that perfect screen snapshot for your needs. Choose to do a full-screen capture, a window capture, or a specific area on your screen. These varieties of options make sure that you capture the exact content that you want. Capturing screenshots is excellent to place in documents, websites, presentations, and much more. Capturing animation or video is great for tutorials, websites, or showing how something is done. This includes audio as well. (You can even capture animation limited to a specific region). Screenshots: Copy them to your clipboard, save them as an image file, email it, or print them out. Animations: Save it as a movie file and/or email it to friends! Do you want to have full visibility of the resources being used on your computer? 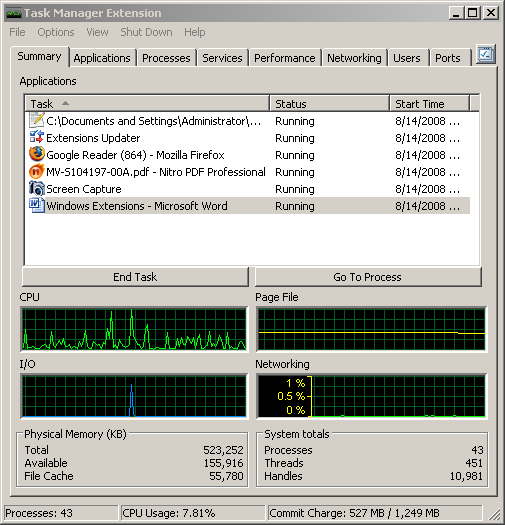 The Task Manager in Windows is just enough to quickly see what is running on your computer, but it feels like it is missing something or maybe it could be so much more. The Task Manager Extension for Windows is a complete tool that really tells you what is going on inside your computer. With its populated feature set, you now have a more in-depth look at programs, applications, processes, and system resources. Nearly every single function can be access from the integrated Summary page. Each tab is naturally an extended view. In the age of spyware, digital attacks, viruses, and other security threats, it is important to keep track of the open network connections in your computer. Move your mouse over any part of the graph to view the current application and process. Then quickly go to the process to freeze or end it. Choose only the most relevant information that you want to see. Create PDF’s from multiple file types in several clicks. Do you need to send a PDF document to a co-worker or friend? Being able to create a PDF file is an essential tool that everyone should have. Sometimes we just want to create a PDF file without having to explicitly open up the file and ‘printing’. The PDF Printer Extension allows you to easy right click on a file and convert it to a PDF in a few seconds. You can easily convert files such as images, text files, Word documents, Excel files, and much more. Quickly recognize differences between two text files. Are you collaborating on a document and need to know what changes were made? I work on documents a lot and it is not uncommon for me to have multiple revisions of the same document. Many times, I end up opening both files and trying to move their windows next to each other so I can spot differences. The File Comparer Extension made my job so much easier. I can compare documents side by side all in one interface and quickly find the differences between them so I can move onto more important work. Find out the number of lines that are equal, how many are modified, deleted, and inserted. Lines with changes are highlighted and color coded so that they can be recognized easily. Choose the view that works best for you. Compare changes side-by-side, line view, or paper view. I can never seem to find out the files that are taking up all the space in my computer. I tend to fill up my hard drive easily so I have to keep a constant eye on the amount of space that I have available. Sometimes, when I move or delete files, it isn’t quite enough to make enough room for my needs. The Disk Analyzer Extension for Windows allows me to quickly see a graphical view of my hard disks. With the powerful tools built in, I no longer have to spend the extra effort to find the files that are taking up the most space on my computer. The graphical view of your disks shows you the drives that are available as well as a representation of how much space is free and used. Launch the necessary programs to quickly get rid of used space on your drives. Empty the recycle bin, add/remove programs, or launch the disk cleanup wizard. Eliminate the files that take up the most space on your disks. Disk Analyzer can quickly locate the largest files or folders on a drive and you can delete them right then and there. Do you want to be able to upload files to blog or website? It is sometimes annoying to have to constantly open up a separate program to do a simple thing such as connecting to a FTP server or site. 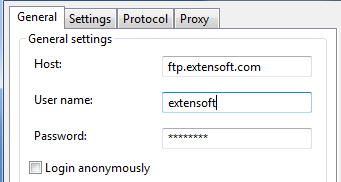 The FTP Client Extension allows you to quickly connect to FTP sites through ‘My Computer’ and be able to browse FTP sites with ease. It is easy to misplace FTP information. You only need to enter it once and it will be saved forever. You can easily access your FTP sites as simple as accessing your local disk drives. Be able to enter FTP options all in an organized interface. Choose typical settings such as ‘anonymous’, timeout, passive mode, bandwidth limiter, proxy server settings, or a secure connection. Transfer files easy to your computer from the ftp site. 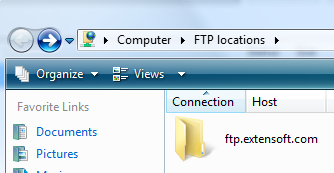 The contents on the FTP site are displayed just like any other folder. Browse contents of FTP site and choose ‘Transfer to…” in order to copy files to your computer. Convert and resize images with this simple tool. Do you want to be able send emails with properly sized images so the recipient isn’t struggling with opening or viewing it? Image Processing Extension is the answer. I want to be able to quickly convert images from one format to another or make quick changes to an image. Photoshop is simply overkill for me and many other programs have unnecessary tools that I just don’t use. The Image Processing Extensions contains only the features that are used most often without having to rely on complex or difficult to use software. Converting a file is so simple and easy to use. Just right click on the file and convert the image to any popular image file format. Commonly used tools are right there to use. You can resize the image, flip it, mirror it, rotate it, and you can even automatically correct the color. With a side-by-side comparison and preview window, you can quickly see what are the effects of your changes. You can even change the file format at the last minute if you need to. allows a web site designer to quickly make changes to match the needs of their website. Do you want to compress multiple files into a single file while reducing its size? Many programs make this simple task complex and hard to figure out. There are even some that lack the simplest functionality. The Compression Extension allows you to compress files with ease. 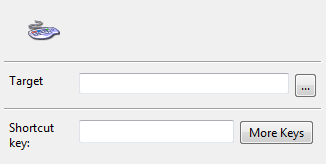 Compress your files by right clicking a file and immediately converting it into a zip compressed file. You can even compress multiple files at once. If you need to squeeze every ounce of data, then choose a more aggressive compression method. The window summarizes the trade off between speed and compression rate. Did you receive an email or file with a document that you could not open? Convert it to a familiar format with the Document Converter Extension. Many programs out there make this simple task complex and hard to figure out. There are even some that lack the simplest functionality. The Document Converter Extension is an extremely simple tool that gets the job done when you need it. Convert your document to any other popular document type with ease. Choose to convert your document to PDF, Doc, DocX, HTML, RTF, and Text formats. Find files and replace words in documents. The Search and Replace Extension allows you to search for files quickly in a single interface. Just type the keyboards in the search box. You can search in specific folders to narrow down the search time. With the built-in replace tool, you can quickly replace text as well. Search for files and find where they are located. With the replace tool, you can quickly replace words in a document. Open your favorite programs with just several keystrokes with the Shortcuts Manager Extension. There are many programs that we open up frequently and we just wish we could access them a little faster. With the Shortcut Manager Extension, assign any shortcut key to any application that you have on your computer. Choose the application that you want to be assigned to your shortcut key. 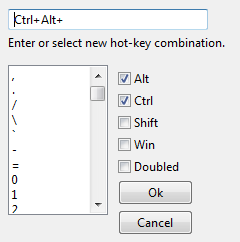 This executable will run whenever the shortcut key is pressed. Select from a wide variety of shortcut keys. Manage files all in a single interface. When I want to move and copy files, it is a hassle to always have to open up two separate windows. Also, I tend to move windows constantly around just so I can properly see the files in a window. The Explorer Extension allows me to manage all my files in an organized window. Additional functions are seamlessly integrated so that I can do more than just move and copy files. When you are brought to the main screen, you are greeted with an organized interface that is intuitive and feels just like it is part of Windows. Multiple views let me have a full view of files such as side-by-side, top-and-bottom, dual-split view, and more. Commonly used functions are presented in toolbar so that you can access them easily. Do a search on your files, synchronize folders, cut, copy, move, rename, etc. You can reset the window to the default view at anytime if you have changed the view. Do you have an image file that you want to use? Maybe you just downloaded the latest CD image file of your favorite Linux distro or you want to use the backed up image of a game you own. You no longer have to waste that blank CD/DVD just to be able to access its files. The Virtual Drive Extension allows you to create a virtual drive and access the files of an image. If you have an ISO image file, you can create a virtual drive which uses that image. It will create a ‘virtual’ drive that shows up in ‘My Computer’. A virtual drive pretends that you have a drive and that you have just ‘inserted’ your ‘CD/DVD’. You can create your own virtual drive of a certain size. Put your own files onto that virtual drive and access it like any other drive.